We at Tea Legends really enjoy tea. And we would love to share some of our discoveries with you. So that’s why we started our own tea club – a place where we can better offer some beautiful teas from around the world. 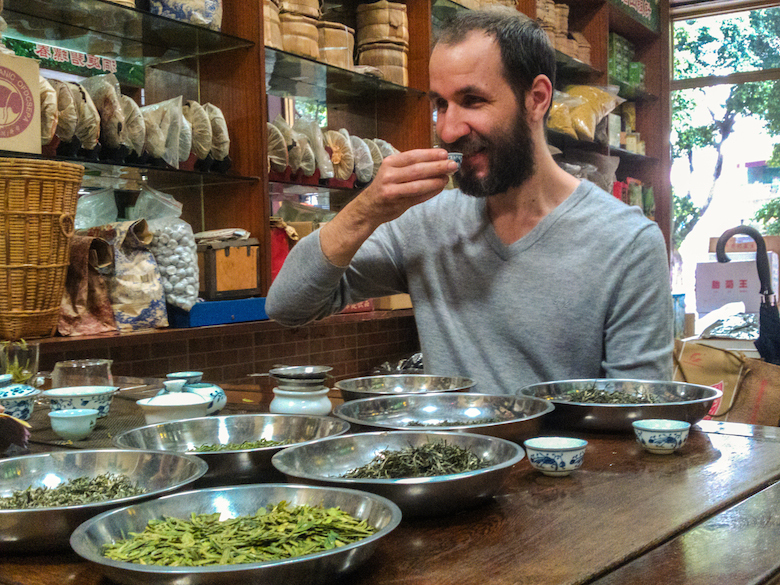 Sometimes it will be oolongs from the Wuyi mountains, and sometimes there will be green teas. And then white, and then pu-erh. There are so many regions, farmers and variety in tea to be explored. We love it. And we hope you do too. We select one tea more or less every month and send you an email about it. You go to our webpage and decide how much beautiful tea you and your friends are going to drink this month. In a couple of weeks you can pick it up personally in Oslo (for free!) or get it shipped straight to your home. To keep expenses down we order the tea after all our members have selected how much they want this month. This keeps our stocks low, and makes it more flexible, and less costly for you in the end. So you will get a real tea, not some factory sweepings, for a very good price. So join our tea club and get updates on our search for legendary teas. You can see some of our previous tea club offerings here.